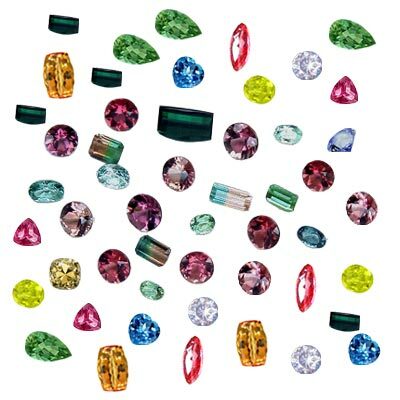 99% of Ruby and sapphire gemstones are heat treated. Heat treatment is most natural and widely accepted treatment across the world. Heat Treatment: Ruby, Blue Sapphire and Yellow Sapphire heated at high temperatures to enhance color. Its genuine treatment accepted across the world. Irradiation: It is common to irradiate Aquamarine, London Blue Topaz, Emerald, and Diamond as well as other gem stones. This treatment brings out color and removes imperfections. Many dealers know if the gemstones they are selling have been irradiated. Honest ones will tell you if they are aware of the treatment. Diffusion is used to deepen a gem's color. Diffusion only intensifies a gemstone's outer layers. Oil and waxes Emerald is dipped in petroleum products to bring out color and to seal it and turquoise is waxed. Fracture filling coats gems with a clear or colored epoxy resin or another substance. The treatment fills-in cracks, which improves the appearance of the gemstone. Laser drilling removes inclusions, improving clarity. Emeralds are typically found with natural internal fissures which are known as “gardens”. Long ago it was discovered that the simple application of oils would greatly reduce the visibility of these inclusions, thereby noticeably enhancing the emerald is appearance. This practice has become traditional and is accepted throughout the precious gem trade. Emeralds are also known to be not quite as durable as diamond, ruby and sapphire. This fact combined with the common practice of oiling requires the owner to take a little extra care of their wonderful green gems.It is also common to oil emeralds to enhance their appearance, usually done as a post-lapidary process in the country of origin. This is acceptable in the gem industry as long as no coloring agents are used. Natural rubies are also treated to enhance its color, clarity and transparency. Most popular treatment is heat treatment. Natural rubies are costlier than treated rubies. There are some other treatments such as glass filling and led filling. Glass filling enhances clarity of rubies and led filling enhances both clarity and color. However, led filling is injurious to health. Yes, a natural sapphire is a sapphire crystal that has been created in the ground - but the color and clarity (what you are paying for in a sapphire) is created from a heating process that would have never occurred naturally in the stone that is being shown. The truth is that almost everything you will see in sapphires anywhere is treated, and treating is not a simple process. It is a sophisticated procedure that has taken decades to perfect by experienced enhancement specialists. The stones are not just thrown in an oven and baked like cookies. I have a question to ask you. If the ruby is treated with Natural Oiling Process, is it acceptable ? please let me know. Thank you. Please advise whether heat treated yellow sapphire can be worn in a ring for Astrological/ Jyotish purposes. I am interested in buying certified Pukraj of around 6 rattis. I would like to have a certificate about the same. Please let me know what sort of certificate you can provide. I was hoping to find some information on gomed. I see that you have pearls. I would like to know about gomed and pearl. I would like to know how much to buy either of these for suitability of vedic astrological balancing.